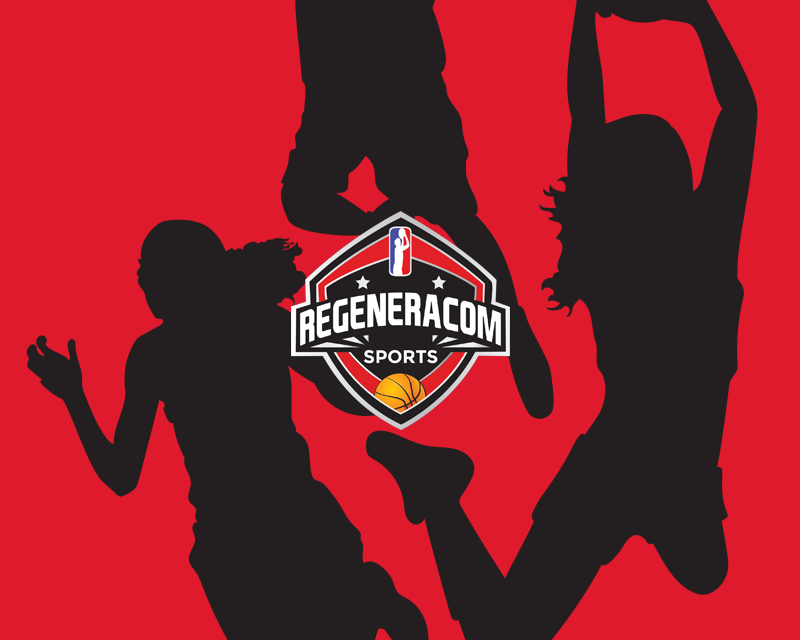 Georgina started playing basketball in Dominiques de Salt and soon she was selected in the Catalan team that won the U12 Spanish Championship 2001. In the 2001/02 season, Georgina moved to GEIEG and she won the Catalan U13 Championship and and both U14 Spanish Championships in 2002 and in 2003 with the Catalan team. In 2003, Georgina accepted a full scholarship in Siglo XXI and being still an U16 player she had her debut in Spanish Liga Femenina 2, averaging 7,6 points 5.3 rebounds and +8.3 efficiency in 25 minutes per game in the 2005/06 season and 8.5 points, 6.4 rebounds and +10.9 efficiency in the 2006/07 season. Georgina Bahí closed her chapter with Catalan team winning the 2004 and the 2005 U16 Spanish Championships and with Siglo XXI she won the Scholar World Championship played in Poland in 2005. 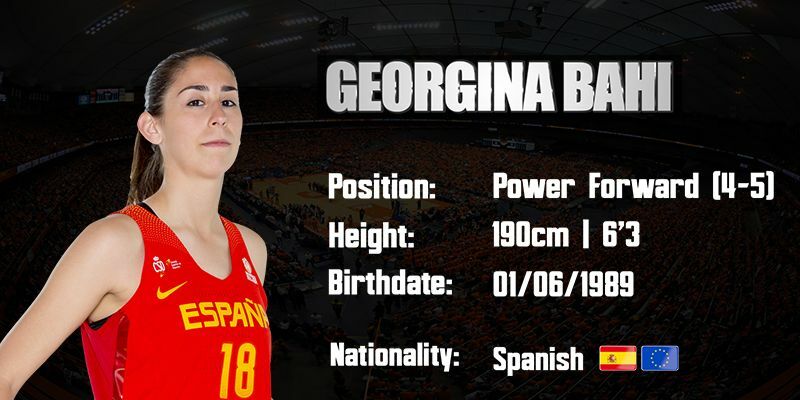 With the Spanish National Team, Georgina Bahí won the Gold Medal in the U16 European Championship played in 2005, averaging 5.8 points and 2.5 rebounds in 15 minutes per game and shone against Russia with 19 points in 25 minutes. Later, in 2007, Georgina won the Silver Medal in the U18 European Championship and averaged 4.1 points and 3.3 rebounds in 15 minutes per game. Georgina Bahí signed with Femení Sant Adrià in 2007 and she averaged 9.9 points, 5 rebounds and +10.1 efficiency in 26 minutes per game in the 2007/08 season and 10.7 points, 7.9 rebounds and +14.5 efficiency in the 2008/09 season, becoming Catalan LF2 Champion and playing the Playoffs to 1st division in both seasons. With the U20 Spanish National Team, Georgina Bahí averaged 5.1 points and 4.4 rebounds in 19 minutes per game in the 2008 European Championship and she won the Silver Medal in the 2009 European Championship and averaged 6.6 points and 2.7 rebounds in 14 minutes per game. Georgina Bahí signed with Uni Girona in the 2009/10 season and she finished in fifth position in her debut year in Liga Femenina, averaging 3.4 points and 2.1 rebounds in 15 minutes per game. Georgina stayed in Girona during the 2010/11 season and she averaged 5.2 points, 4.4 rebounds and +5.4 efficiency per game, shining with 14 points and 5 rebounds against Perfumerías Avenida. Georgina stayed one more year in Girona and she averaged 3 points, 1.6 rebounds and 11 minutes per game during the 2011/12 season. With Girona, Georgina Bahí won the 2010/11 and the 2011/12 Catalan Leagues. In the 2012/13 season, Georgina Bahí signed with Sedis Cadí and she averaged 3.7 points and 2 rebounds in 13 minutes per game, reaching the 4th position in Spanish Liga Femenina. Georgina Bahí moved to Ciudad de Burgos during the 2013/14 season and she averaged 8.6 points, 5 rebounds and +8.2 efficiency per game, reaching the Queen´s Cup Semifinals and finishing the league in 6th position. Georgina had great games against Perfumerías Avenida (22 points 6 rebounds), Mann Filter (15 points 6 rebounds +20 efficiency), Gran Canaria (16 points 7 rebounds) and Rivas (19 points). In the 2014/15 season, Georgina Bahí signed back with Sedis Cadí and she had a good season, averaging 8.1 points and 3.7 rebounds per game, reaching the Liga Femenina Semifinals. After the season with Cadí, Georgina Bahí signed in Argentina with Berazategui and she averaged 10.5 points and 4.7 rebounds per game, reaching the Argentina League Final. Georgina Bahí signed with Sedis Cadí in the 2015/16 season and she averaged 8.6 points and 3.2 rebounds in 23 minutes per game, reaching Liga Femenina 5th position and becoming Liga Catalana Champion. In the 2016/17 season, Georgina Bahí extended her contract with Sedis Cadí and she averaged 11.8 points, 4.9 rebounds and +11.7 efficiency per game. Georgina Bahí is a 1.90m spanish power forward born in 1989 who has experience both with the Spanish Senior National Team and with the different Spanish Youth National Teams, with whom she won the Gold Medal in the U16 European Championship 2005 and the Silver Medals in the U18 European Championship played in 2007 and the U20 European Championship played in 2009. At clubs level, Georgina Bahí has played most of her career in catalan teams in Spanish Liga Femenina and she has reached multiple times both the Liga Femenina and the Queen´s Cup Semifinals. Georgina is a very hard working and commited player who posseses a high basketball IQ and who has the ability to stretch the floor with her mid and long range distance shooting.